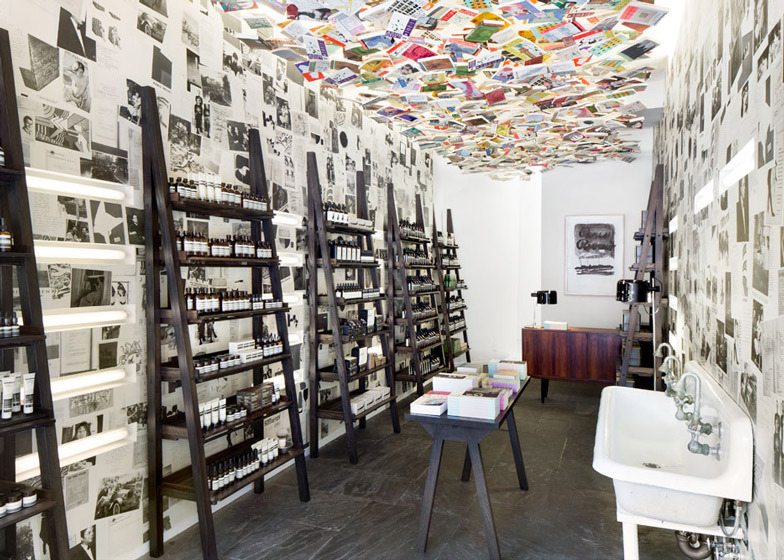 One thousand editions of literary journal The Paris Review cover the ceiling of skincare brand Aesop's new store in Chelsea, New York (+ slideshow). 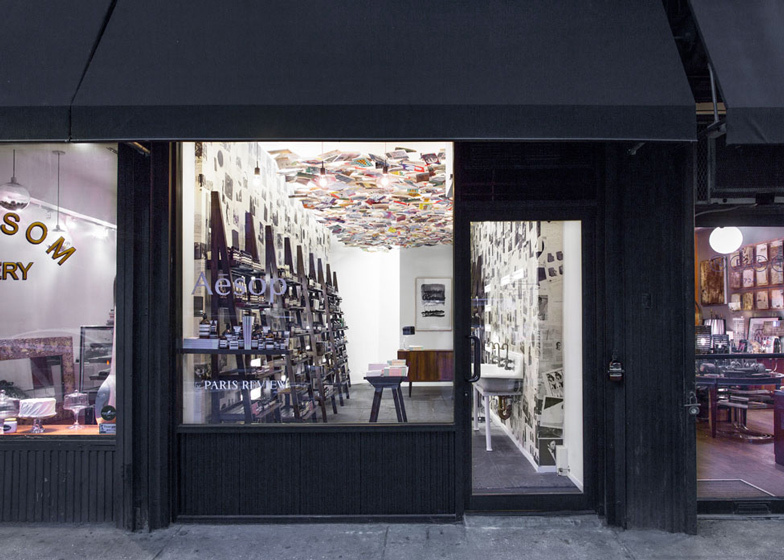 The Aesop Chelsea store is located a few streets away from the journal's New York headquarters. "I first discovered The Paris Review in a vintage Melbourne bookstore many years ago," said Aesop founder Dennis Paphitis. "I have since that time tried diligently to read every issue in a sober state." 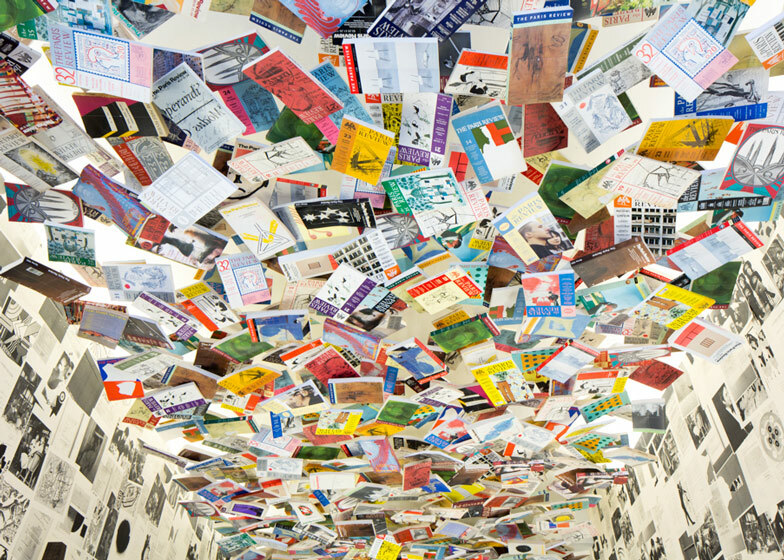 The walls are lined with monochrome extracts of 60 years of The Paris Review, including photographs and letters, while the issues on the ceiling are in full colour. 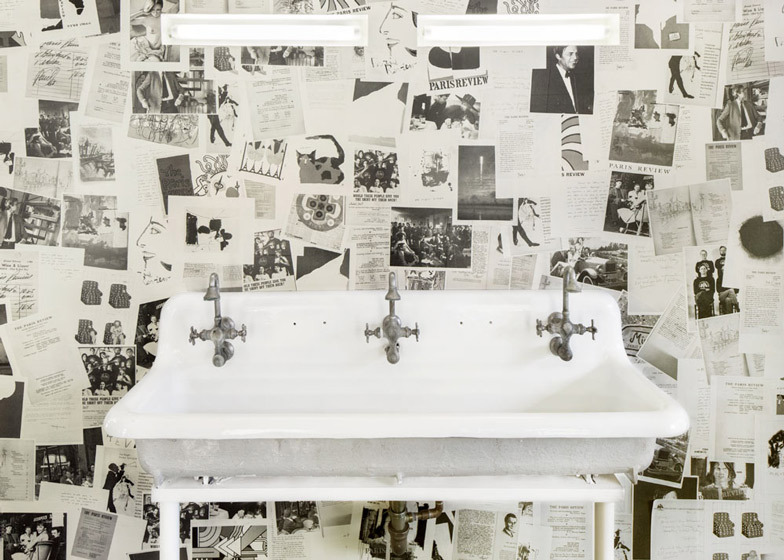 One side of the store features a cast-iron sink with tube lights fitted into the wall above. The opposite wall displays Aesop products on five freestanding black lacquered shelves. A small black wooden table in the centre of the store displays more issues of The Paris Review, while a 1950s-style wooden cabinet acts as the counter at the rear of the shop. The floor is covered with black slate tiles. No two Aesop stores are the same and Dennis Paphitis told Dezeen that he was "horrified at the thought of a soulless chain". The brand also completed it's Marylebone London store earlier this year, a restoration by Studio KO that references the rustic English brick house.